Gregg's Blogg » Blog Archive » So who exactly IS Brin Addison and why is he suddenly Harp Guitarist of the Month? So who exactly IS Brin Addison and why is he suddenly Harp Guitarist of the Month? You gotta love the Internet. After all, it made a rock star of our friend Andy McKee (of course it also made a star out of Justin Bieber). 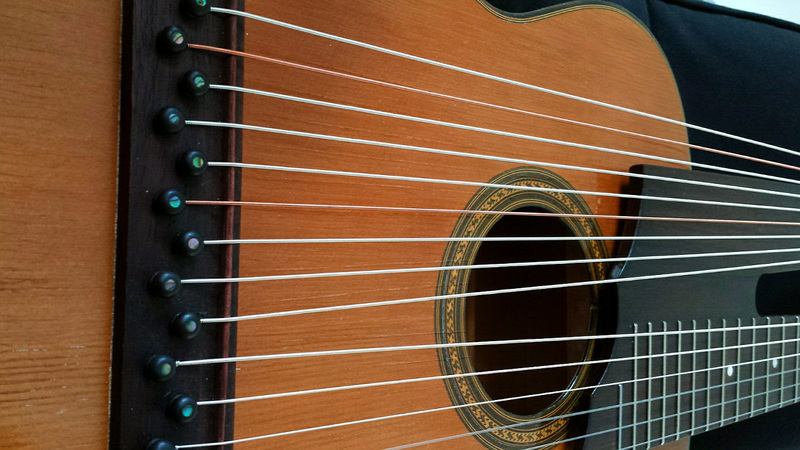 Lots of players we know have gotten some great – and sudden – PR, and the harp guitar, for better or worse, keeps getting its “15 minutes of fame” that can often now last for weeks on the web. There was that ubiquitous clip of Joe Bonamassa improvising on a Gibson harp guitar (yes, he played one sub-bass note at the end, and no, I’m not adding him to the Players page). Then GuitarPlayer.com featured (above) an out-of-the-blue “unknown harp guitarist” playing – rather strikingly – a famous bit of Beethoven’s “Moonlight Sonata.” He was using a garden variety mid-20th century German harp guitar, and, as so often happens, it was like the biggest news in guitarland (“What in the world is that instrument? !”…you know the drill). I could no longer do my routine “harp guitar” Google check without that video showing up in every “last 24 hours” search…the guy was starting to bug me! Just who was Brin Addison? One-shot poser? Under-the-radar virtuoso? Rock star? What? 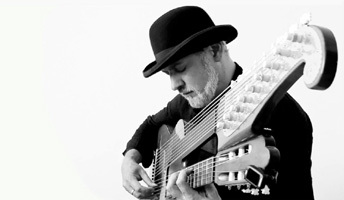 Turns out, he’s an extremely nice, articulate professional guitarist who – after just a “one-shot,” out of the blue video – I chose to turn into my genuine “Harp Guitarist of the Month” on Harpguitars.net. A key reason is simply that Brin took the time to answer my couple basic questions with a ready-to-publish “interview” below (this result was not his intention; he was simply politely answering my email). The first thing to note is that he’s one of those not-uncommon, but unique musicians who have no musical boundaries or prejudices. He plays classical guitar and grunge rock with equal devotion (reminding me of last year’s Harp Guitar Gathering feature, Jon Mendle). In fact, the only way I could track Brin down was through his band’s Bandcamp page. They are Guilt Monkey (what Dave Barry would say would be a great name for a Rock Band, and actually is). On their page, you can listen to Brin singing and thrashing their hit “By The Balls” (not a song about a gentlemanly game of croquet). I have a lot of admiration and respect for players who can unapologetically enjoy and perform complete extremes of guitar styles (I also have a lot of envy – I cut a pretty mean Leslie West riff myself, but wouldn’t presume to do so publicly). OK, so what about the harp guitar video? He could obviously play the instrument, and I loved the glorious recording and reverb effects. Was it his first time? Yes. Will it be the last? Read on! Here, in his own words, is Brin’s back story of the how the video came about. Note how seriously he took experimenting with and finding the perfect strings for his tastes. “This piece was very challenging to learn but I feel the sub-bass strings bring it closer to the piano’s voice. 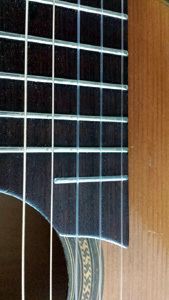 Classical guitar has very little sustain, something which is needed in this sonata, however the bass notes sustain quite well which adds to the effect of playing piano without dampers. I hope you enjoy my performance. “Classical guitar is my first instrument, though I have been playing rock guitar since my teenage years, I started classical lessons at the tender age of 6 and studied until I was about 17 in Brussels, Belgium. I then moved back to South Africa, my country of origin, and really got into electric guitar playing in metal bands, most notably one of South Africa’s premier heavy metal acts named Odyssey. We recorded and released one LP during the apartheid years, circa 1987-1992 which since has become a collector’s vinyl. It now sells on eBay for over $420 per unit and is largely regarded as the first heavy metal record to have come from South Africa; though there were a couple before, none achieved the cult status Odyssey did. “In 1995 I moved to the USA, to the smokey mountains of North Carolina where I picked up the banjo and used my classical finger technique to my advantage as the basis for my hybrid style of fingerstyle bluegrass-classical-world music. After a year in NC I ended up in Seattle for 16 years sharpening my chops in the studio and on the rock scene. I have over 30 album credits to my name as producer/engineer from my time in Seattle. 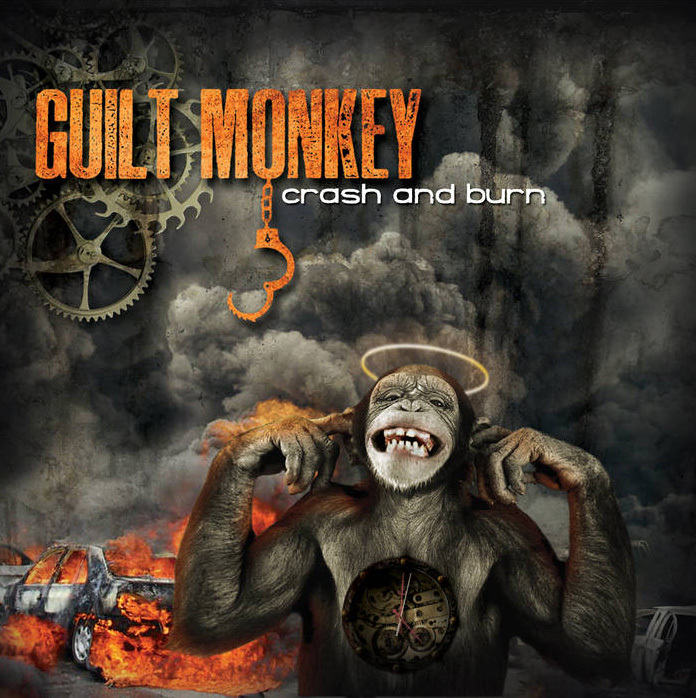 “About 5 years ago I moved back to Belgium and soon after started my current rock band Guilt Monkey. We have two records out that you can listen to on Bandcamp. “An acquaintance was selling this 1940’s “double neck” guitar that he had found in an attic, so I did a little research and decided to buy it off him only about 5 months ago. 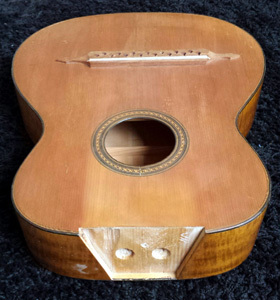 It was in original state and missing almost all its strings. At the time I had no idea how to play it or even how it was tuned but figured I could bring it back to life and learn how to play it. 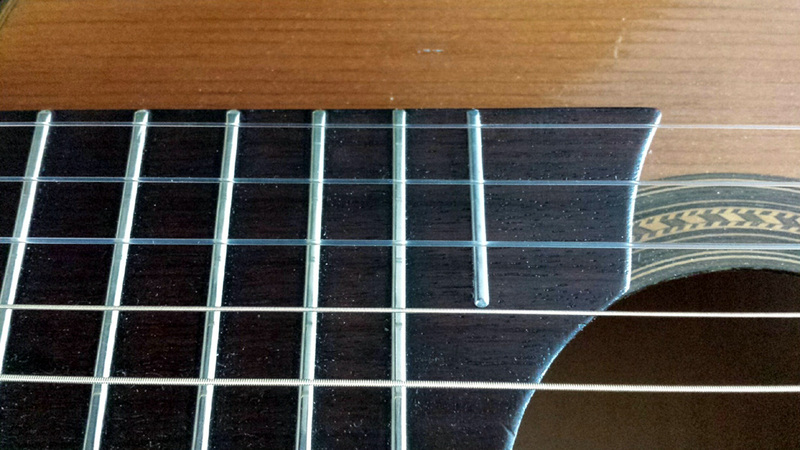 After trying the traditional nylon silver bass strings and also phosphor bronze acoustic strings and not liking either flavor, I had Pyramid make me a custom set of silver/steel sub-bass strings (similar to gypsy strings) and only kept the top 3 nylon strings on the standard guitar neck. This combination seemed to work the best for me on this Contra Guitar. “Now I had to learn how to play it. I generally do my own compositions but thought it might be a good idea, in order to get the hang of it, to learn something that forced me to ‘find’ the bass strings. So to answer your question: no I have not been playing it for very long. “Moonlight Sonata” was what I thought might lend itself to the challenge and it certainly was a challenge! I had no idea the video I shot for my friends to hear the instrument would garner such interest. It’s an odd instrument and I think curiosity was rife. I guess one never knows what will spark people’s interest. “I’m about to record my first original composition on the Contra Guitar; we shall see how it turns out. Beethoven has been guiding me and has taught me the basics so I feel fairly comfortable now but I can imagine it will take years to know it like a brother. My main prerequisite is that the bass strings be part of the composition rather than just the occasional note thrown in; it must be the backbone of the piece and therefore must be used throughout. 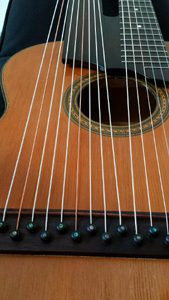 The advantage of 9 sub-bass strings is that I can easily step out of the key, change the key, re-harmonize and use it to the advantage of the piece without being restricted to doing drones in the key of Am, which is what I too often hear in harp guitar music. I certainly don’t consider myself to be a harp guitarist, I prefer to think of this guitar as being a mini orchestra, with bass, violins, piano, classical guitar and so much more and I am its operator. It really is a portable orchestra and I’m delighted to discover new ways to approach guitar composition. I appreciate the fact that Brin immediately “got” the harp guitar – that one doesn’t just throw in an occasional bass (although sometime we do!). 15 minutes of harp guitar infamy? I think we’ve found ourselves a new harp guitarist. Very inspiring story, indeed, even without the superglue. The playing is exquisite. Thanks for making us aware of Brin. Wow! I’ve known Brin for a lot of years. Whatever he does, he goes full sail and he’s not afraid to try anything, be it playing, recording or producing. Plus, being a stellar musician, he usually comes out roses. Glad you found him! Brin is one of those people whose creativity you just admire. Not only is he so extremely gifted as a musician, he also can figure out (on his own) just about any other craft and excel above others with his God-given talents. I’ve had the pleasure to work with Brin numerous times and have never been disappointed with the creativity and ideas he brings to the forefront. I really am not surprised to have come across this article featuring him. I knew it was a matter of time where his true gifts and talents would be recognized. Brin is my birth dad!